Do you want your next vehicle to be in great condition but don’t want to break the bank on a new vehicle? Explore our selection of excellent Certified Pre-Owned vehicles to get some new car benefits with a lower price tag at Gerald North Aurora.Learn more about the history of Kia when you come into our nearby Oswego dealership today. All of our certified pre-owned vehicles have passed an intensive Kia service inspection and reconditioning process to bring you the most reliable vehicles possible. Certified pre-owned vehicles at our kia dealer cost much less than new vehicles but offer drivers more recent model years and up-to-date technology than a general used vehicle. Paired with our competitive financing options, you can rest easy knowing you’re getting the best deal. 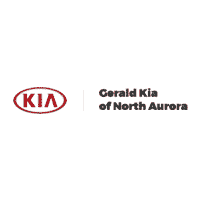 For quality vehicles at an affordable price, contact us at Gerald Kia of North Aurora near Naperville today!